The Barotse Royal Establishment has finally announced 21st April as the date for the 2018 Kuomboka ceremony of Barotseland. Barotseland Prime Minister (Ngambela) Nyambe Mwenda told the media at Limulunga palace on Wednesday that the earlier date of 7th April that had been widely reported by the media was not correct as it did not come from his office. He stressed that the date for the ceremony has been set by His Majesty the Litunga (King) of Barotseland. Hon Mwenda pointed out that no politics or party regalia will be allowed during the ceremony adding that the BRE will not write invitation letters to anyone but that all those wishing to attend should just do so and enjoy themselves. It is not yet clear if Zambian and PF leader Edgar Lungu will attend the ceremony where he was embarrassed last year after people walked out leaving him seated just after the Litunga entered the palace. 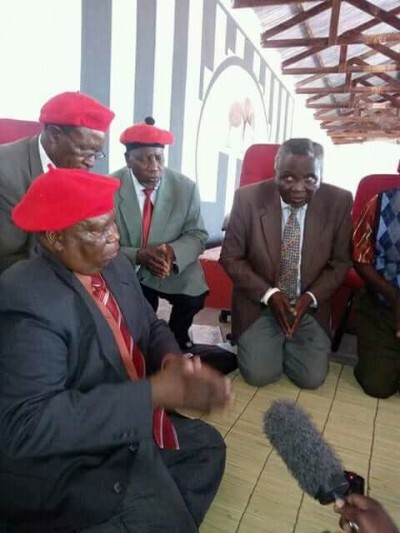 Lungu has never been to the region from last year’s ceremony as he has been avoiding addressing the long standing Barotseland Agreement impasse with the people of Barotseland.